To start your own web hosting company, you will need to do an in depth research of this online business to begin with. There are many factors which you need to consider such as investment and customers demanding the best support on their services offered. Technical support is one of the most crucial aspects along with good customer relationship management and timely responses via emails and phone. You need a team of experts to manage and run a Web Hosting company. There are many providers out there, you have to come up with your unique offering which will help you to establish your place in this ever growing online business. This would be the first step in starting your own hosting company. You need a domain name that reflects services offered by your company, to whom its offered and who is your end customer. You need to make sure that your company name or a domain name should not match with any other company as copyright issues might arise. You may select domain name depending upon the geographic area you are targeting. You can register country level TLD for example .co.uk domain if your target business area is in UK, .co.in if its India. Once the domain name or company name is finalized you should move on to designing your website. If you don’t have enough funds to get your website designed from a professional designer, you can also look for readily available templates in the market. Once your website is designed, payment gateway and billing software integration is another important aspect for web hosting business. To accept payment online, you need to sign up up for a merchant account with payment processing providers, tie up with banks and configure the payment gateway on your website. Once the payment gateway is setup, you can accept payments online through Credit cards, Debit cards and bank transfer. Once the order is received, you need to maintain customer details, package they have ordered, address and other personal details. For that you need a billing software which can manage data of your hosting clients. There are many billing softwares around but WHMCS is a highly recommended software for a web hosting company. You can also integrate Live chat with your website if you want. You can address sales and support queries through live chat that gives a good impression to new and existing visitors to your website. That’s the first thing you need if you don’t have your own infrastructure. You will need space and bandwidth to resell your services. VPS Hosting or Dedicated Server won’t be a good idea to invest initially. Alternatively, you may start with a reseller hosting package and design/sell your plans accordingly. You can finalize your services whether you are offering windows or Linux hosting services. You also need to finalize add-on options offered on your web hosting plans such as control panel, SSL certificate, backups etc. You can create your plans and packages in the billing software and link with your website. 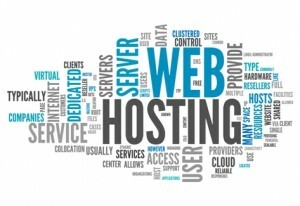 Make sure your hosting plans and prices are attractive which in turn will help you to gain more customers. Any business online or offline needs a full proof marketing plan. You need to manage your promotional activities properly in order to succeed online. To increase sales figures constantly, get more clients and keep the customers you have coming back, you have to actively work at business promotion all the time. You need to setup a team of sales and online marketing professionals to perform the sales processes. Although its hard to find the right people in this field, these positions are the heart of your success, so make sure that you give the recruiting efforts the time that they deserve.